Our visit to the Atelier of Orishao Hirai was the most memorable experience, and was one of our most favourite visits in Japan. To have the privilege of visiting a Master Weaver in his studio, and to watch him weave the most intricate pattern with sublime silk and gold thread is incomparable. To know that Orishao Hirai is a 4th generation Weaver , just added to the joy of the Occassion. We were fortunate to have a delightful translator with us, that allowed us to ask a myriad questions, that were gracefully answered. 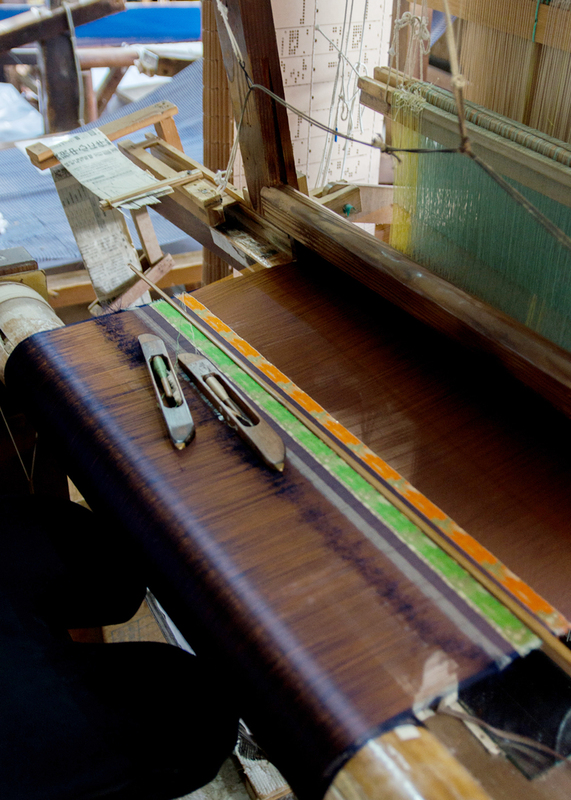 Our visit to the Master Weaver in Kyoto was an absolute highlight of our trip to Japan. .We cannot recommend this experience strongly enough. Cannot wait to return to experience the opportunity to visit the Ateliers of other Artisans.